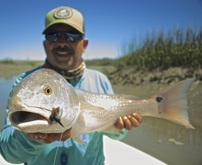 Redfish Flies for Hilton Head Island.. 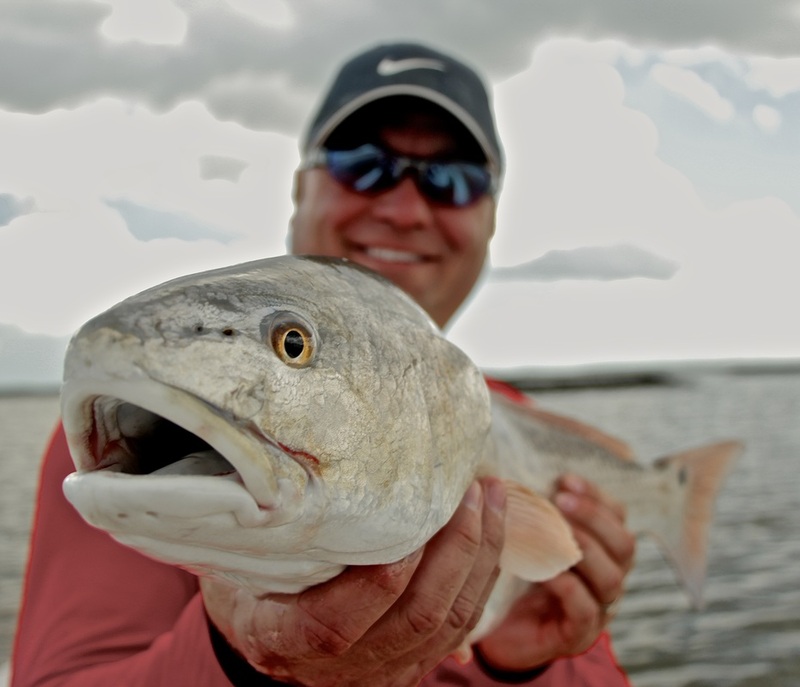 I'm often asked "What Redfish flies should I tie for our trip to Hilton Head Island? There are many that work well. 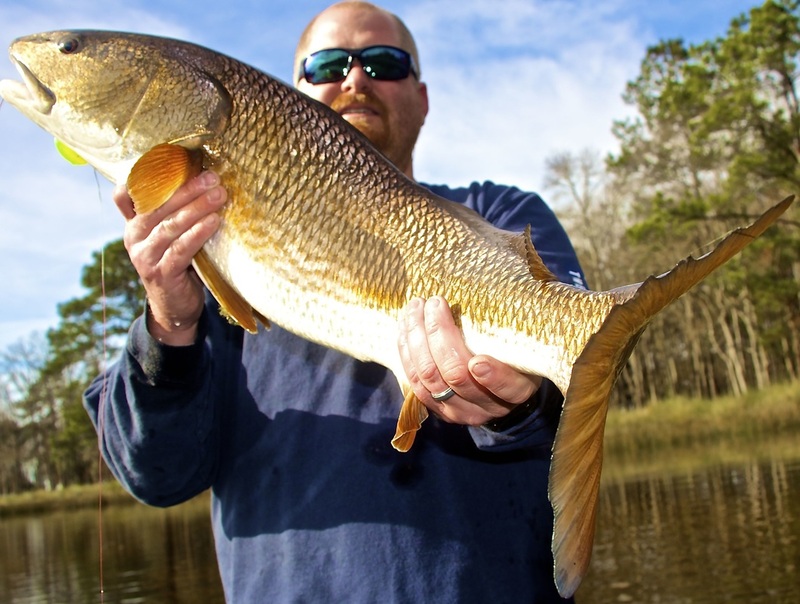 The key to a great all-around redfish fly around Hilton Head Island, Beaufort and Savannah are ones that have a certain amount of weight, profile, color, weed-guards and size for the season. 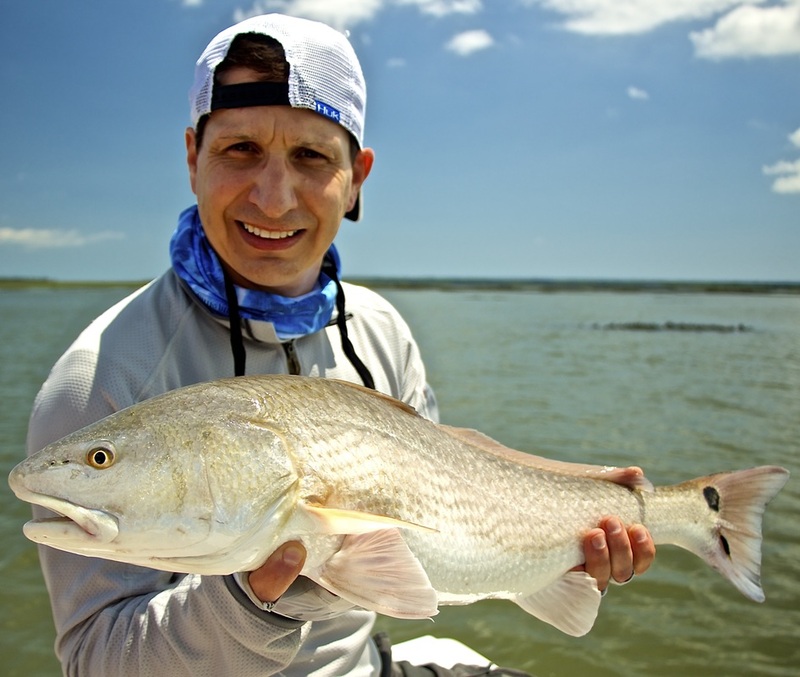 Let's look at some of the attributes in a Hilton Head Island redfish fly that work really well. It was a spectacular morning as we put in at the landing...the sun was just rising above the east horizon, a beautiful vermillion sky, light and gentle breeze flowing in from the sound.. hour and a half before dead low tide....perfect! We cruised past this large floating dock owned by one of my longtime high school friends whose family for several generations had hunted and fished along the South Carolina barrier islands. 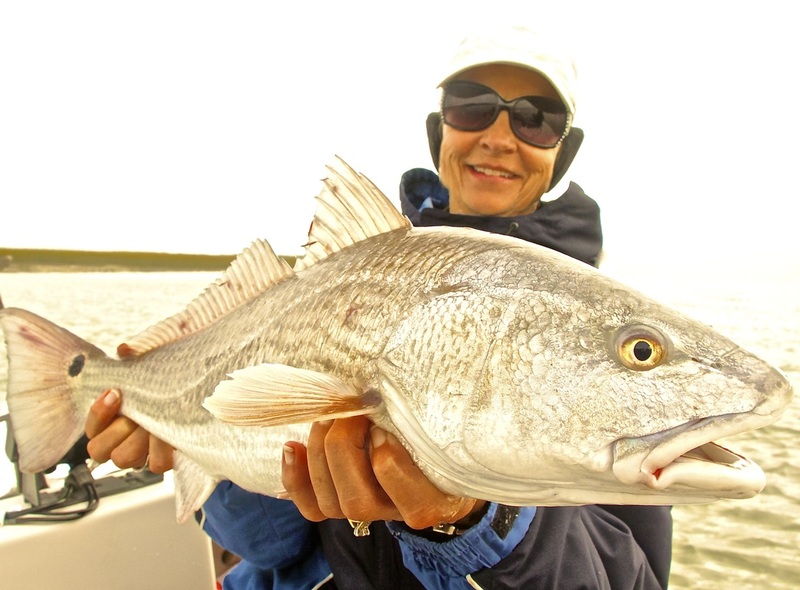 Mark turned the boat into the channel flowing out of a large expanse of oyster shoals where the tidal creeks and marsh emptied at the bottom of the tide...he cut the motor, grabbed his pole and climbed up on his platform. I grabbed my 10 weight fly rod and tied on one of Mark's "Mumba" baitfish patterns...stood up on the bow and stripped off about 40ft of line. 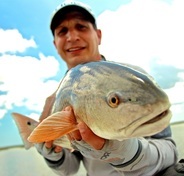 Mark stealthily pushed us east on the flats, the sun shimmering on the water ahead...he spotted a small school of reds at 1 O'Clock moving toward us and whispered for me to start casting in front of them...made one false cast and shot the line to about 4 feet in front of the reds. Mark began his cadence...."strip...strip...strip...strip...HIT 'em! 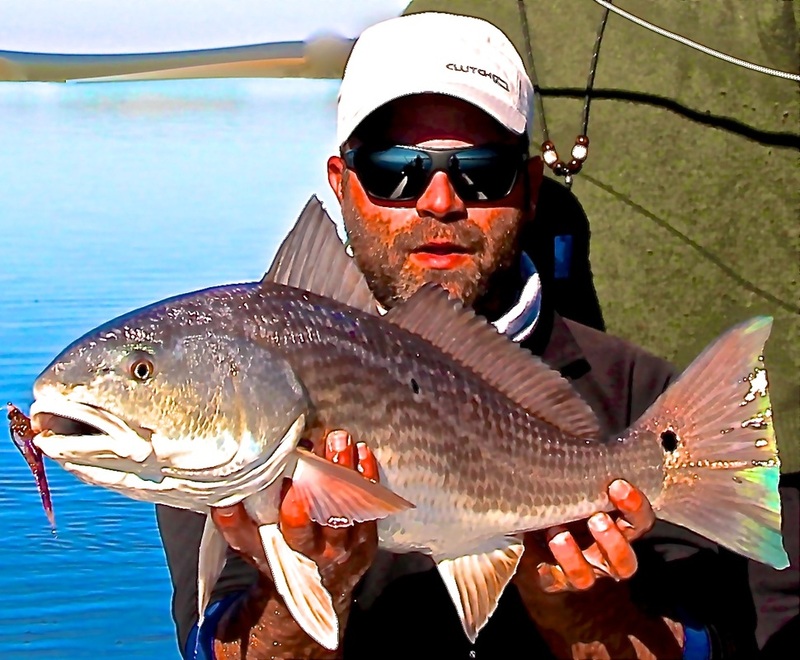 I strip set the hook deep into the red's jaw as he took off for deeper water. 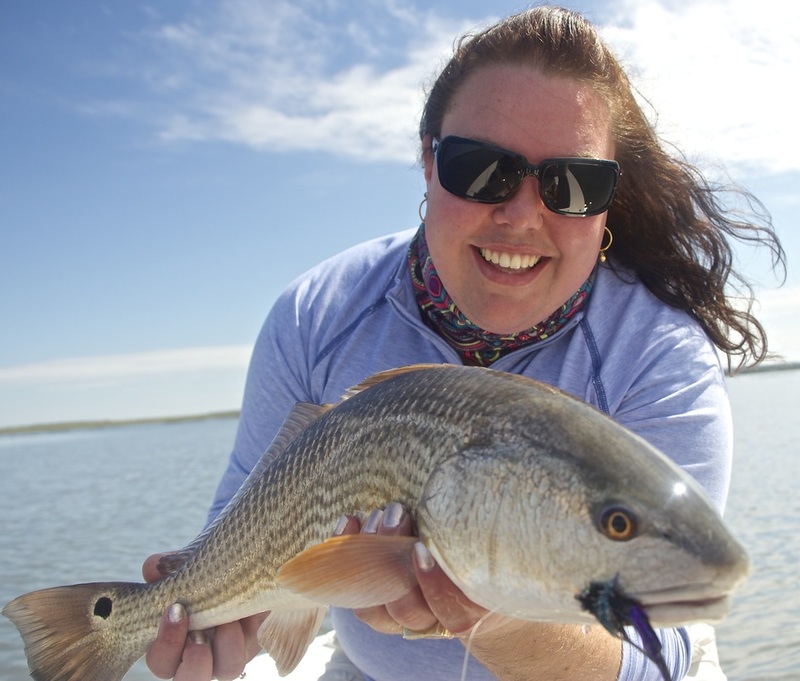 My adrenaline was pumping as I let the red take line which was "rooster tailing" away...I turned up about 5 lbs of drag on the reel and began to apply rod pressure to gain back line. What a thrill! 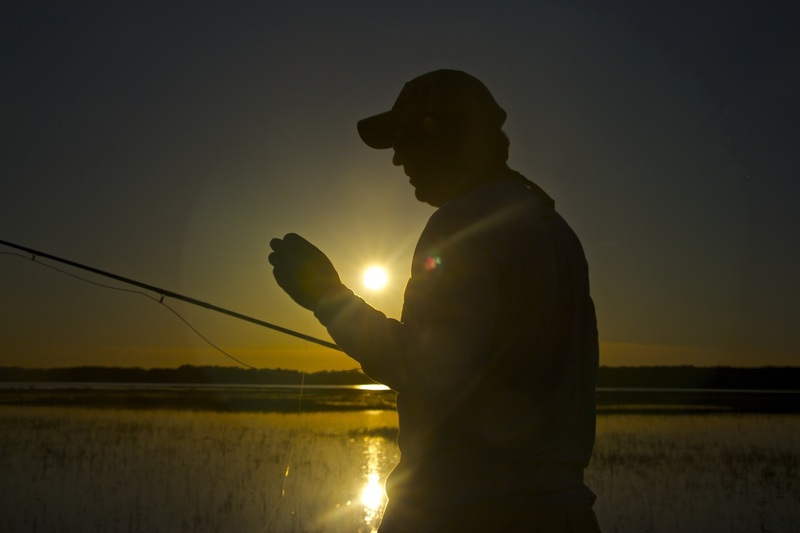 I had caught plenty of spot tails in my youth with spinning gear, but never have had a more stimulating challenge than flyfishing with Mark. Caught 6, with a couple of early releases...best birthday ever....thx, Mark!" 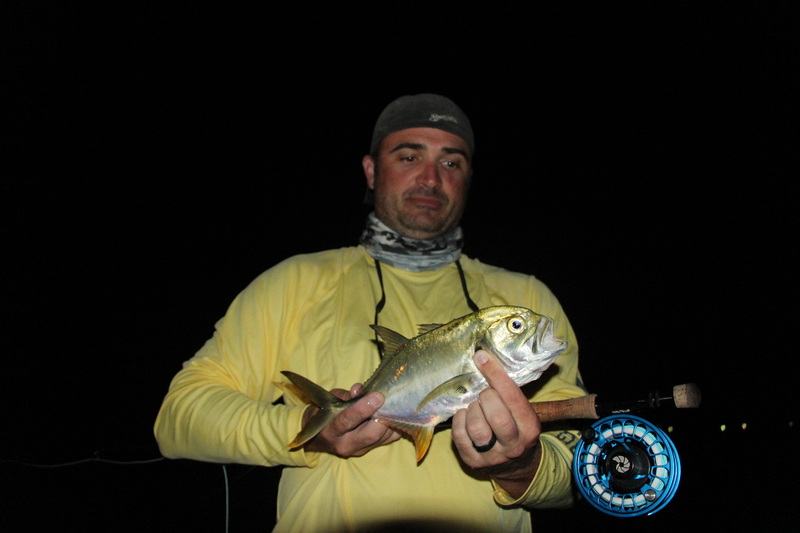 first Ladyfish yesterday and had some shots at Cobia. 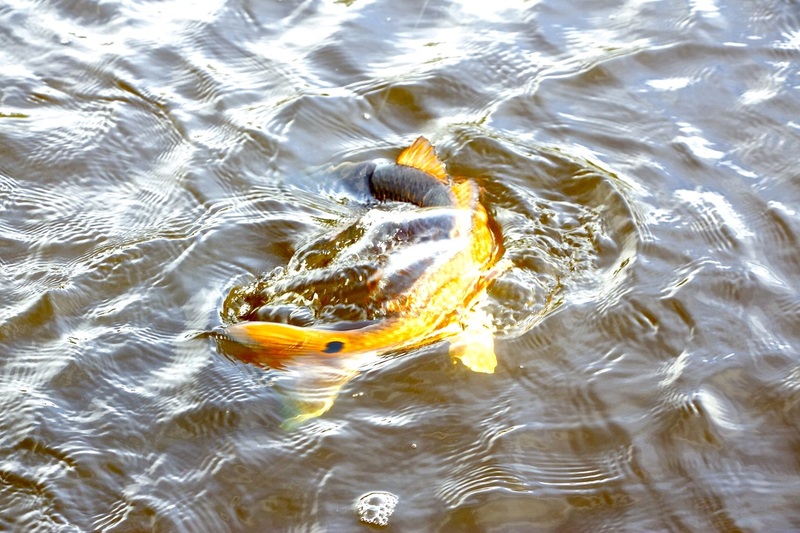 huge fish in shallow water. Check out our Gallery or Testimonials to catch a glimpse. 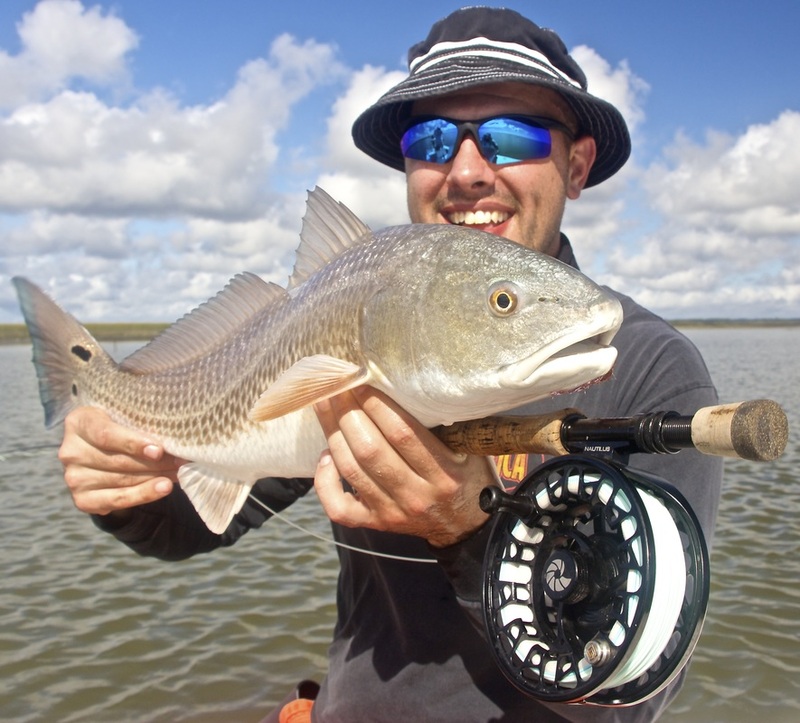 How to pick a Hilton Head Fly Fishing Guide. reports look year round? Is it on fly? or bait? offshore away from the flats? I am not a big fan of the sunglass retainers that are made of cotton because they soak in sweat and dirt. Maybe if I only fished in cold weather I might be more inclined to wear this type of lanyard. 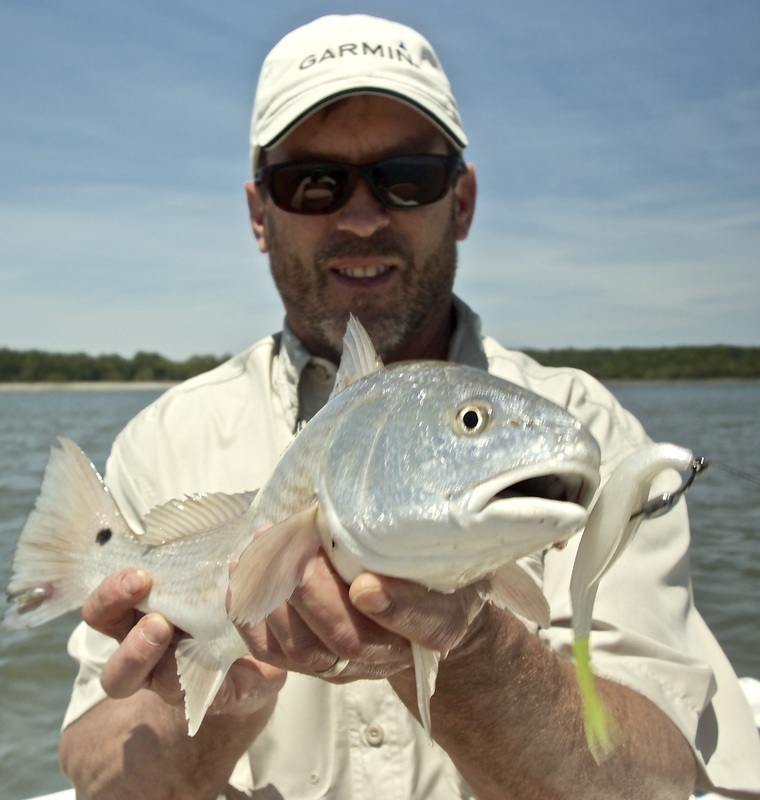 I am a fly fishing guide in the Hilton Head, South Carolina area and spending a ton of time in the heat makes them get nasty quickly. I wash them all the time and they fall apart quickly for me. 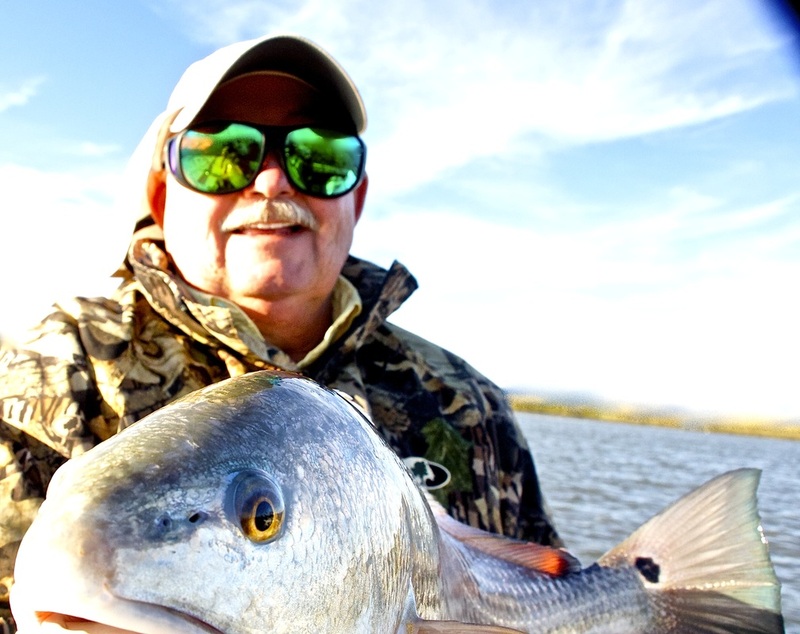 I have been using heavy mono and fly line for a long time and tie nail knots on unto each leg of the sunglasses. This does do the trick, and have seen many other ways to do this including drilling a hole. Not that long ago I found this company that has a pretty cool idea and environmentally friendly. Disclaimer: "I am not endorsed or affiliated with this company in any way." I have seen them around for awhile now and thought they had a great idea. When I stopped in the Rivers&Glen fly shop in Savannah the other day I had a chance to pick up a couple pairs. 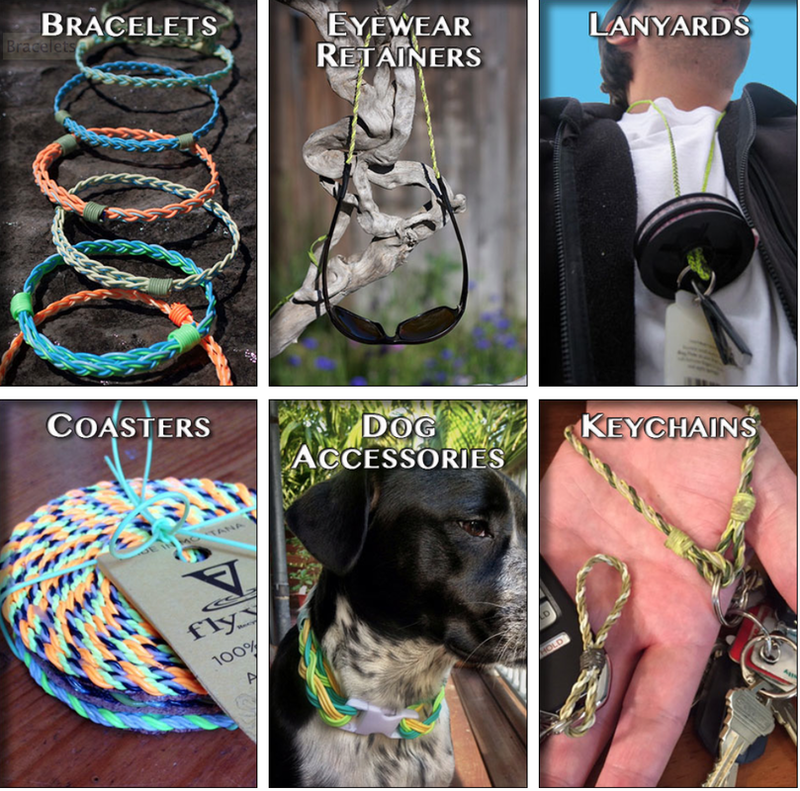 Fly Vines is a company that makes retainers for sunglasses. They recycle old fly lines and weave the lines together to form the eyewear retainers. Not only do they look great and not soak up sweat but the recycling aspect is always an appeal seeing I do prefer greener products. After putting them on my sunglasses I pulled hard and they did release from the sunglasses, but did not break the integrity of lanyard. I am excited to be rocking these green products this summer and will keep you posted if there are any changes to my recommendations. Today I had the honor to take out one of our soldiers in the U.S. Army. Charles just got stationed here in Savannah Ga at Fort Stewart. 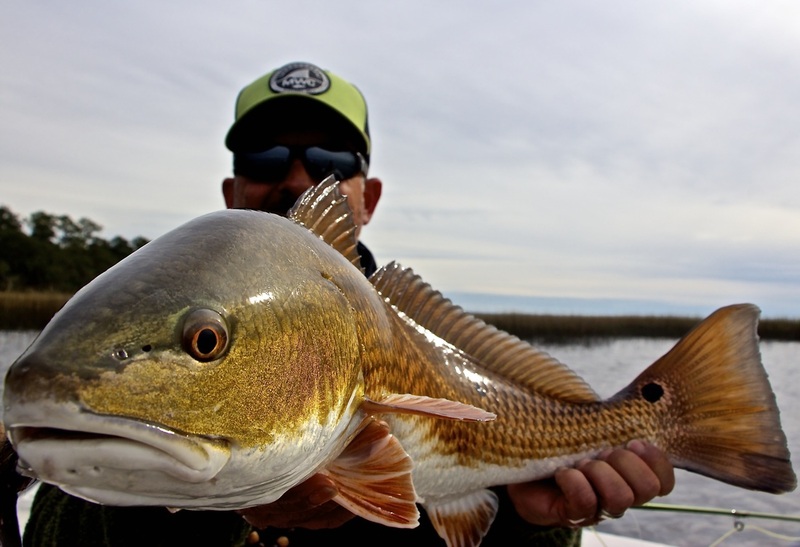 He has a passion for fly fishing and was looking to get out at some nice size redfish. We met at the landing at 0645. Charles was on time and I guess I shouldn't have been surprised. We headed out into the dawn with 30 degree temps. Running thirty-five miles per hour in a flats boat you can feel the chill seep through what ever you are wearing. I looked over at Charles with my teeth chattering, and he appeared as though he was on a cruise to Belize... I thought to myself, Dang, I must be getting soft in my old age. 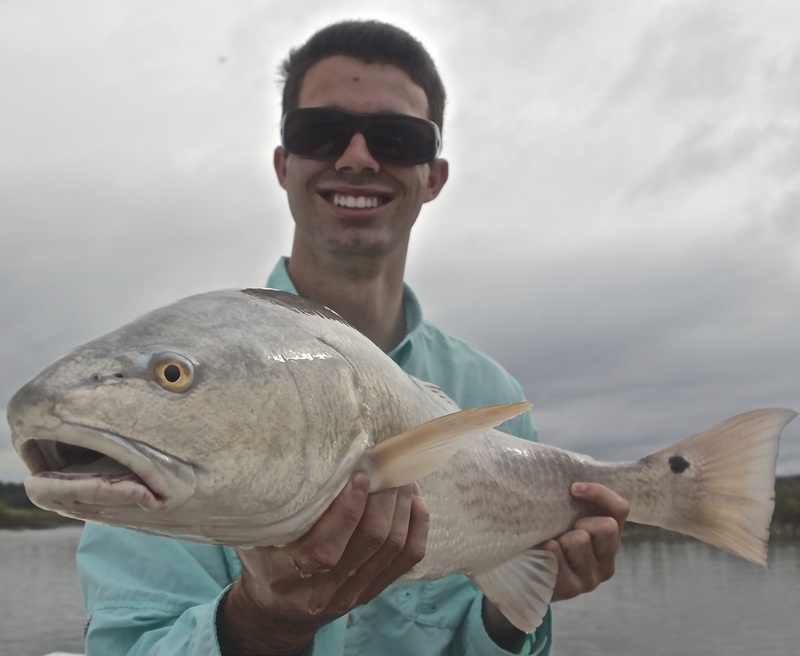 We got on school after school of redfish and could see Charles' face smiling from ear to ear and the words "This is awesome" coming out of his mouth. It was one of those realizations I get over and over that not only do I love fly fishing, but I love showing people unique fisheries. 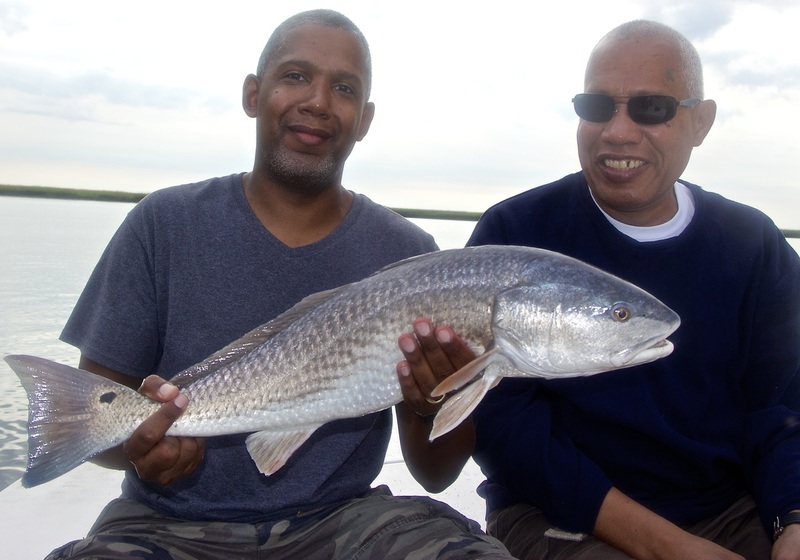 Charles went on to catch fish after fish and we had a blast. 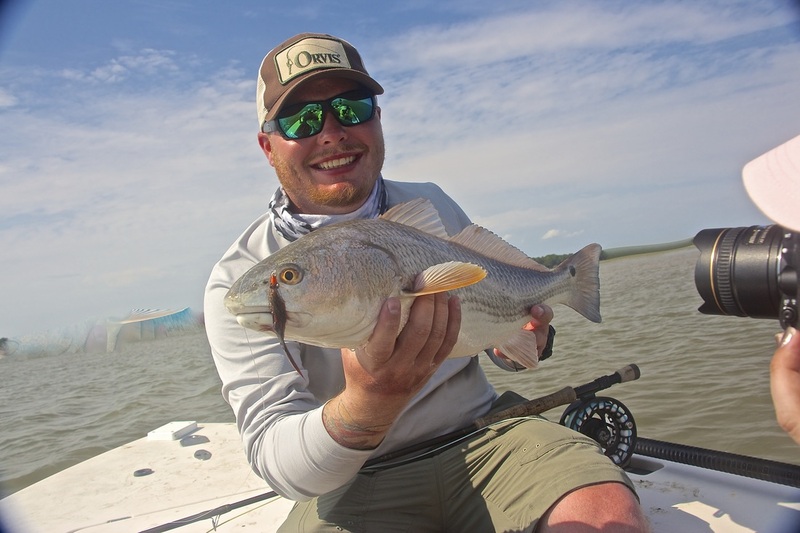 This was his first experience fly fishing the low country and I am glad it was with LocoFlyCharters. Here is to Charles, and all of the men and women who serve our country and keep us safe. Can't believe the weather here lately. It has been so warm with only a few cold days keeping the fishing almost like it was November. We have had tailers in the grass all the way into january. 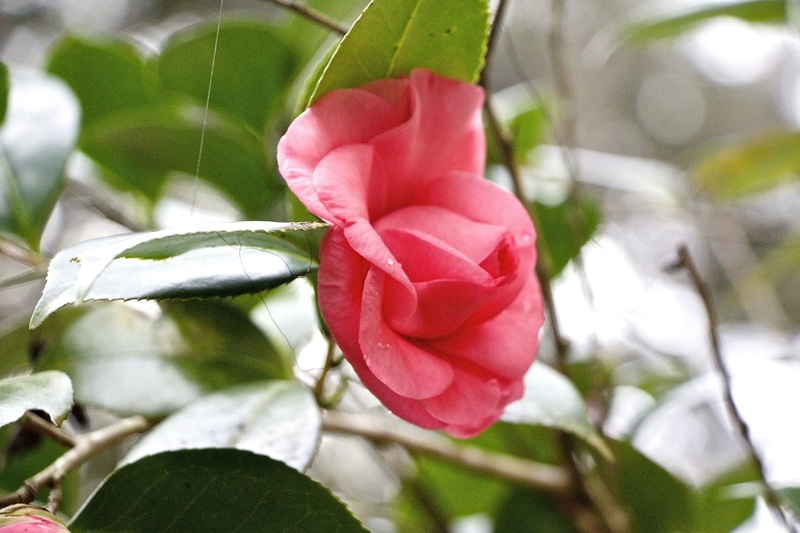 Even the roses in my yard tried blooming this month. With the wind and cold picking up here winter is gonna really start setting in shortly. It's 10:45 pm as I sit down and write this blog. Boat's been washed and just finished a late supper. My friends keep telling me I have to spend more time on my website so I can move up the google ratings...lol, who has time? 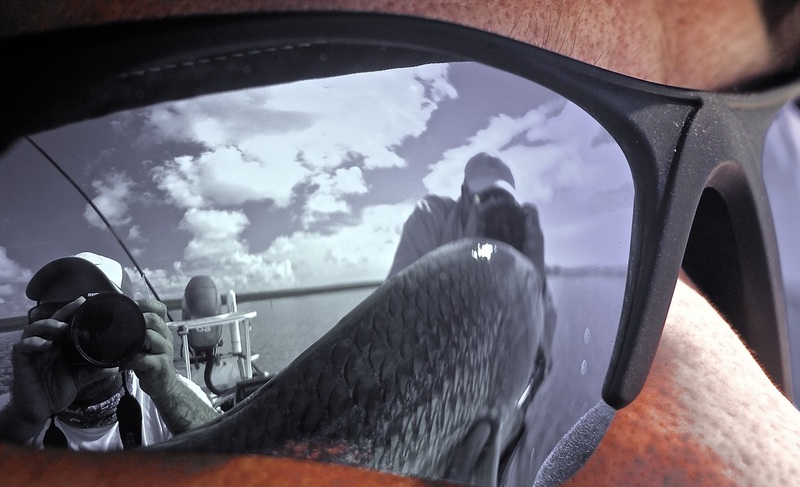 Who wants a guide who spends more time online than on the water? 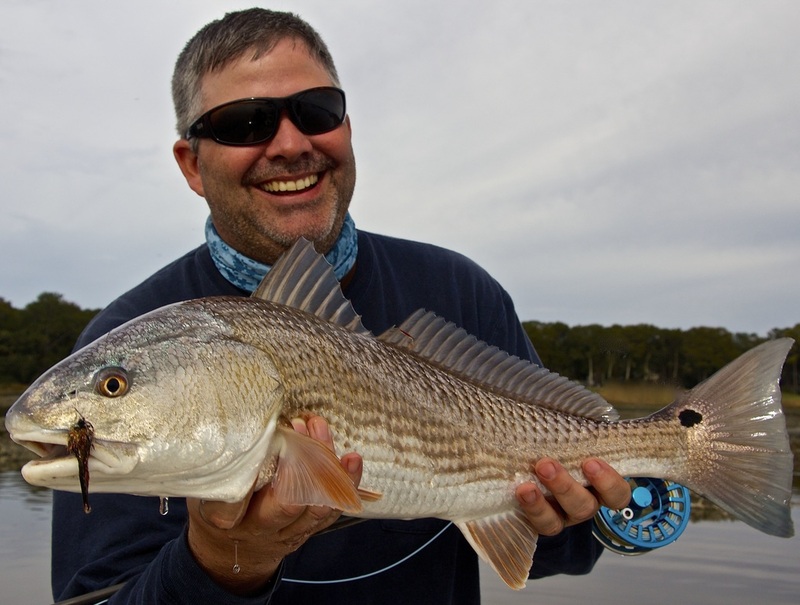 I'm one of the only full time fly and artificial guides in the entire Hilton Head area. 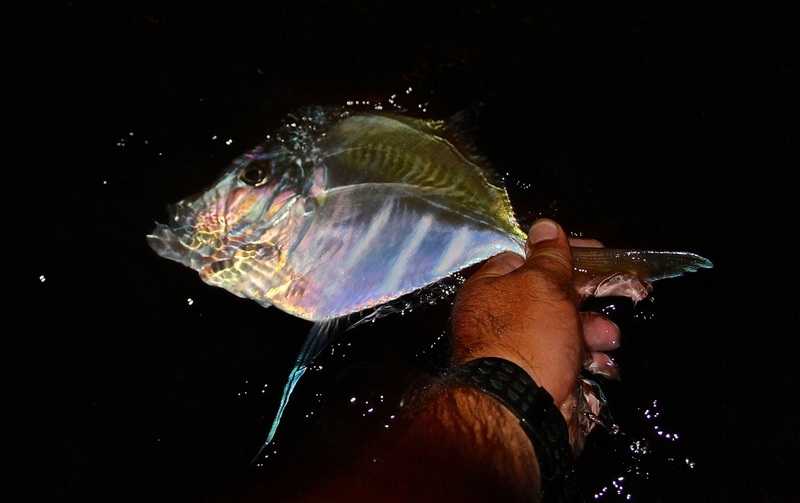 Poling shallow waters for 8 hours a day is a minimum to keep track of whats what. 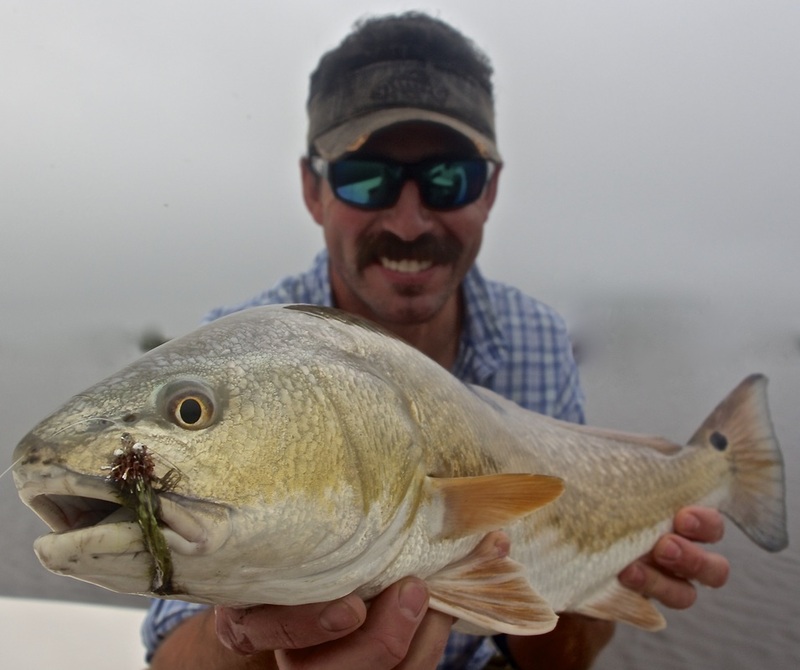 So here's whats up... water clarity around Hilton Head is getting better and shrimp and bait seem to be on every redfish's mind. If a school of fish hasn't been beaten up too much, they will pretty much hit anything. I'm talking about some wine corks as poppers and a strip of clothing for streamers, bet that would make a fun video :) As the cool temps keep coming the fishing seems to get better and better. Weather seems to be our only downfall to a LoCo fishing charter. For all my repeat clients who are getting ready to saddle up in the boat these next couple months, get ready! We are gonna have a blast! If you haven't booked a trip yet, send me an email so i can get u in!! 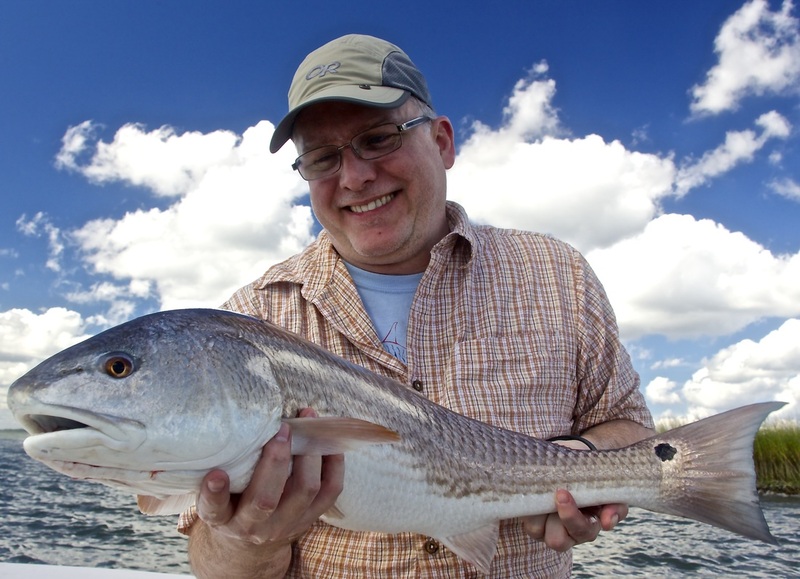 We left the Low Country for a trip down the Florida Coast with my buddy Mike. Stopped in Jupiter to fish with another buddy Martin Bowers ( a die hard snook and tarpon fisherman). Last time I fished with Martin we fished around the clock.. Well this time was no different. We started packing the boat the minute we hit Jupiter. 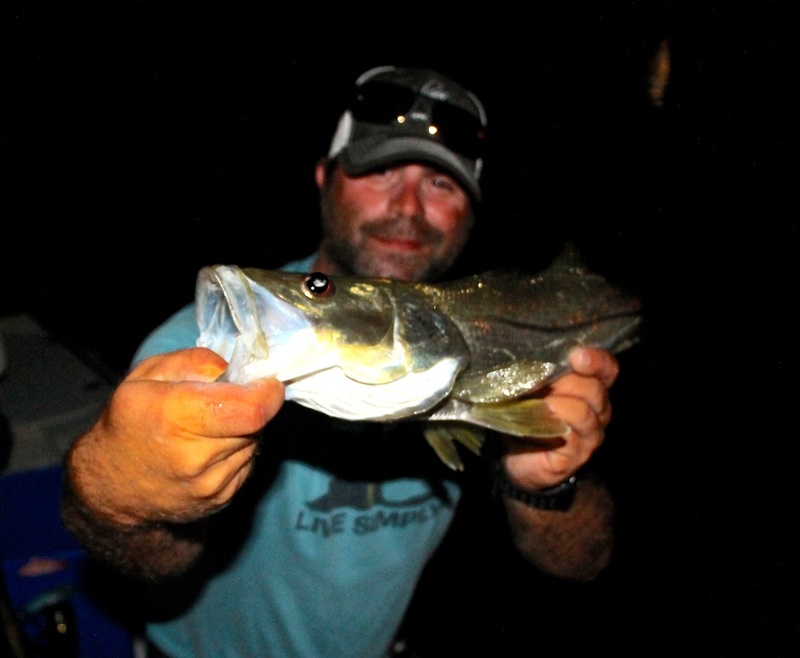 Mike's goal was to catch his first snook on the fly. What better way than to fish the Dock lights to start him off. Dock light fishing can be outstanding and allow for closer shots and lots of action.. We launched the boat shortly after arriving at the community boat landing and where sliding through the mangrove canals towards a city of dock lights. 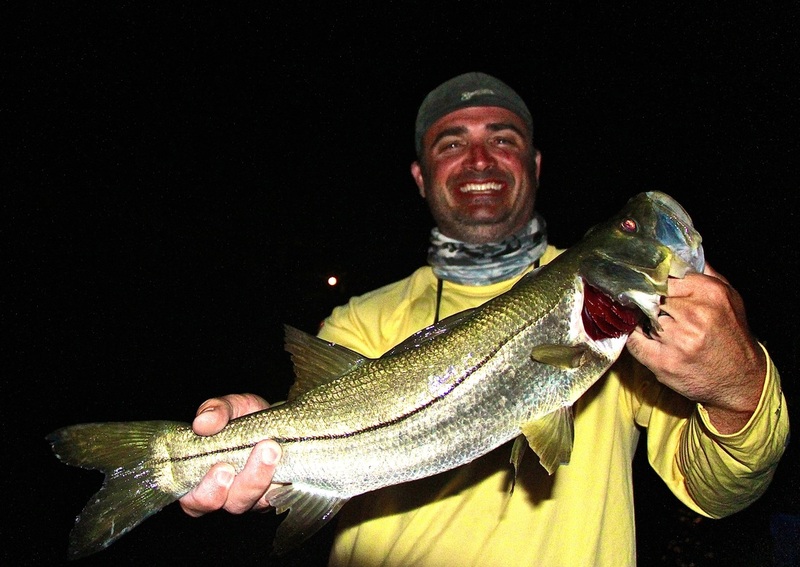 After checking a couple docks with no luck we came upon one that was loaded with snook, jacks, and moonfish.. Mike was looking for his first snook on fly and crushed a Jupiter Dock Light Slam!! If you have never done this kind of fishing before you def. need to check it out. 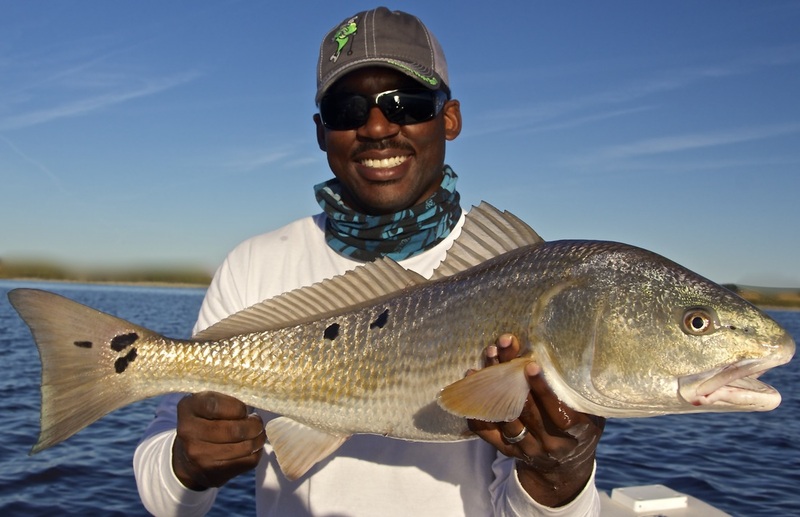 Fly Fishing Charter Guide in the Low Country.